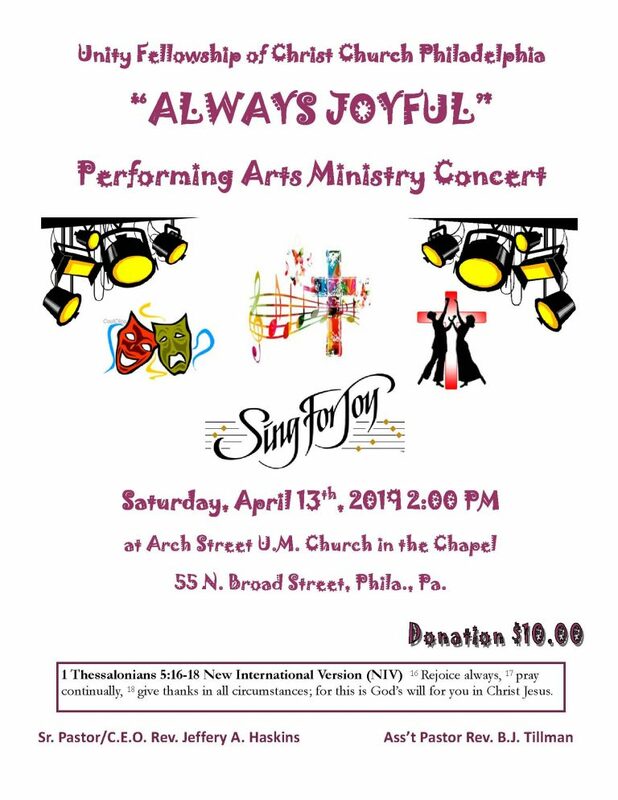 Tickets are $10.00 and available for purchase now from any Unity Fellowship of Christ Church Philadelphia member. Tickets can also be purchased online via the link below. Can't Make the Event? Consider making a donation to UFCCP to help us continue carrying out our mission.